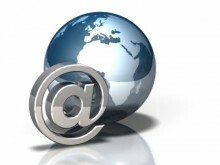 Modern business relies so heavily on e-mail that often production grinds to a halt without it. Indeed, the speed at which work gets done directly reflects the efficiency and reliability of today’s communication tools. As the number of messages sent and received increases steadily, employees expect more features, more access, and less downtime. Using CommuniGate Systems core technology platform, Communigate Pro, ECHO Labs provides businesses with the most reliable, cost-effective, and content-rich e-mail solution available. ECHO Labs private-label e-mail brings you the simplicity and feature-rich performance of a hosted solution without sacrificing the custom control and scalability you’d expect from an on-site system. Businesses across the globe rely on ECHO Labs to distribute world-class messaging to their subscribers. While traditional communications systems prove less and less efficient, the need for a single, simplified messaging interface becomes apparent to businesses looking to increase productivity and streamline workflow. With over 10 years of experience moving users to and from various messaging platforms, ECHO Labs can assist in migrating existing email accounts onto to the new service seamlessly and quickly. Using Live & Transparent migration a.k.a. “The Proxy Migration Method” the transition is invisible to the users with no down time. 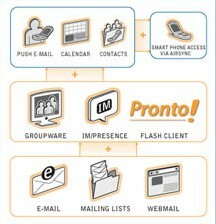 ECHO has developed a number of different tools and scripts which minimize customer impact. At times these migrations have been performed without the cooperation of existing provider. User names and passwords are unnecessary to successfully migrate accounts to our system, and our webmail can be customized to replicate the previous interface.